Here's what a negative savings rate and the drag on Berkshire Hathaway's earnings mean for your investment strategy. 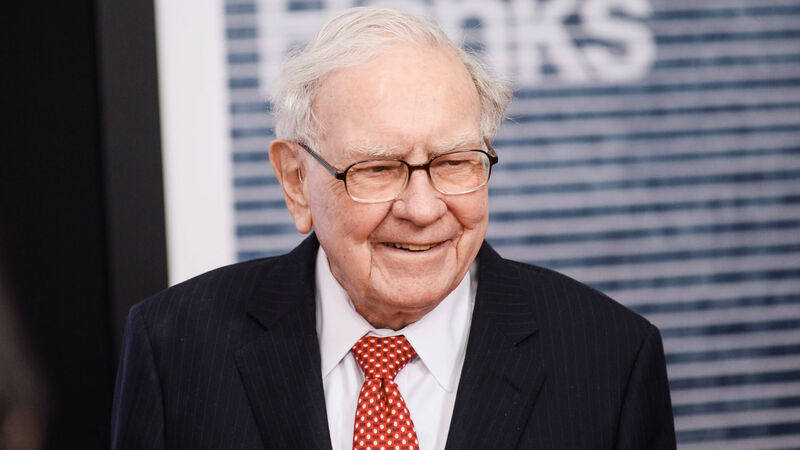 Whether you’re a seasoned investor or a novice, you’ve likely heard of Warren Buffett, billionaire CEO of Berkshire Hathaway and world-famous investor. Investors want to know how the Warren Buffett portfolio continues to thrive through good economic times and bad — and even as interest rates sit at historic lows. And now, negative interest rates are a possibility, as Federal Reserve chair Janet Yellen said in a February 2016 Congressional Hearing. With these five tips from Warren Buffett, you’ll know how to navigate negative interest rates as a private investor. Discussing the current low interest rates around the world, Buffett said in a CNBC Squawk Box interview on Monday May 2, 2016 that if negative interest rates come to America he’d think about withdrawing his money, particularly if it meant having to pay to keep money in the bank. “There could be a point where you’d really want to start withdrawing currency,” he said. Buffett explained that this is what some European central banks have done — setting a negative interest rate to try to kick-start the economy. Although Buffett said he avoids playing central bank rates, he said the rates are a drag on the cash portion of his Berkshire Hathaway portfolio, which currently holds about $60 billion, earning a maximum of about 0.25 percent interest. If America’s third richest man according to Forbes says he’s sticking his money under his mattress if the fed decides on negative interest rates, it might be time for you to do the same. Regardless of interest rates and whether the stock market is bullish or bearish, Buffett has long been a vocal fan of American businesses. “You can’t predict what stocks will do in the short run, but you can predict that American business will do well over time,” he told CNBC in an interview that aired February 29, 2016, supporting his big picture and long-term approach to investing. Buffett reminded investors that in the long run, investing in American companies is a good choice. “For 240 years it’s been a terrible mistake to bet against America, and now is no time to start,” Buffett wrote his most recent letter, a message to shareholders in the 2015 Berkshire Hathaway annual report. Buffett often shares advice about how to approach investing in stocks in this letter that discusses Berkshire Hathaway holdings and during Berkshire Hathaway’s annual general meeting for investors. “When you buy a stock you get yourself in the mental frame of mind that you’re buying a business,” he said during the livestream of 2016 Berkshire Hathaway investor annual general meeting. The answer to whether it’s still a good idea to buy bonds when rates are negative is a tricky one. “Persistent and globally pervasive low interest rates have compromised investors that have depended on conventional income sources, such as bonds,” said Kei Sasaki, regional chief investment officer for Wells Fargo Private Bank. Although bond prices and interest rates have an inverse relationship, bond yields and interest rates move in the same direction. So if rates are at zero, it can be difficult to determine whether it’s worth investing in bonds at all — whether they’re treasury bonds, savings bonds, junk bonds or high yield bonds — if they’ll have a zero yield. But investing in bonds with a zero yield might still be worthwhile because when they’re at or near zero, bond yields have only one way to go — though time-frame is key. Paul Jacobs, a certified financial planner and chief investment officer of Palisades Hudson Financial Group, said his firm invests mostly in short-term, high quality bond funds. Buffett, however, might no longer be bullish on bonds. In fact, in 2015, he reduced the bond portion of Berkshire Hathaway’s holdings for the sixth year in a row. Buffett’s a big fan of index funds for most investors, even as interest rates head to negative territory. “The best thing for most investors to do is buy an index fund,” Buffett said in a February 29, 2016 CNBC blog interview. An index fund mimics a specific stock market index such as Standard & Poor’s 500 index, which has relatively low fees and a low entry point to invest. Yet investors still get exposure to all of the companies in the fund and the index. A passive investor whose money is in an S&P 500 index fund “absolutely gets the record of American industry,” Buffett also told attendees at the 2016 annual meeting. Although Buffett says it’s important to look at American business overall, he still loves talking stocks when rates are down — and he isn’t the only one. Other lower-risk options are out there, too. “During such environments one might consider seeking out alternative income sources, such stock dividends — both domestic and international — master limited partnerships, real estate investment trusts (REIT), private real estate and alternative investments,” Sasaki said. And Buffett is taking advantage of at least one of these options. In December 2015 Buffett disclosed that Berkshire Hathaway real estate holdings include an 8.02 percent stake — valued at $70 million at the time — in Sears’ REIT Seritage Growth Properties. Other than reducing his bond holdings, Buffett’s behavior and advice regarding investing with negative interest rates generally remains consistent with his historical investment philosophies. For example, he still holds Berkshire Hathaway companies like Dairy Queen and Coca-Cola. Although the Berkshire Hathaway stock price — trading around $215,000 per Class A share in May 2016 with Berkshire Hathaway B stock trading in the $143-per-share range — might preclude you from becoming a shareholder, average investors benefit from noting how Buffett responds to negative interest rates. And if Berkshire Hathaway’s remarkable results over the period from 1965 through 2015 are any indication, Warren Buffett stocks and strategies are the way to go. Click through to learn how to read stock charts like a pro. Sticking with these companies through tough times paid off. The Oracle of Omaha keeps increasing his bank holdings. Warren Buffett Invested $5B in Goldman During the 2008 Crisis. What’s It Worth Now?